LOVED the Farmer to Farmer Retreat? WISH you were there? 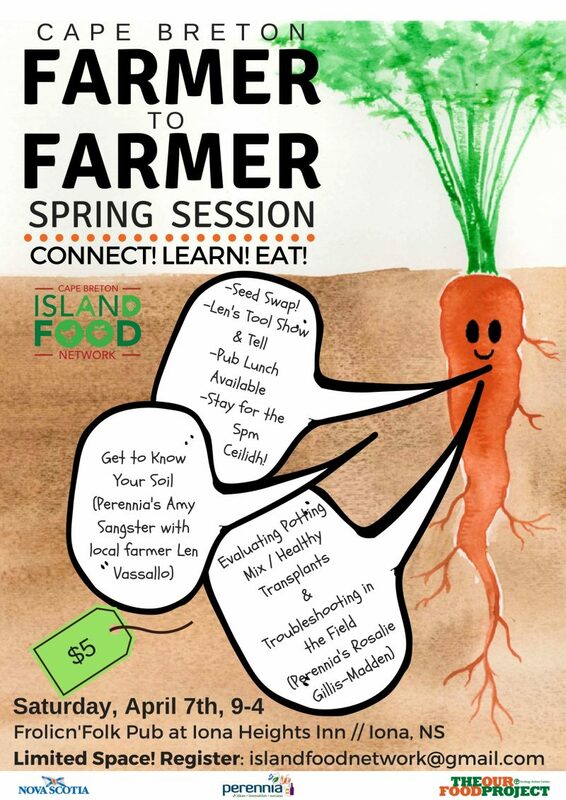 Well we have organized a follow up event…the Farmer to Farmer Spring Session! Join us in Iona on Saturday, April 7th! We will also have time for chatting, seed swapping, lunch and maybe even a beer! The Island Food Network has worked with the Department of Agriculture, Perennia and the Ecology Action Centre to bring this event together. *NOTE: This event is currently full but we are accepting names on a waitlist. Email islandfoodnetwork@gmail.com.